Here is the step by step guide should get you started! You can make video calls on Facebook if both parties have a webcam in their system or PC. We tested it to see how things work. And it worked great. 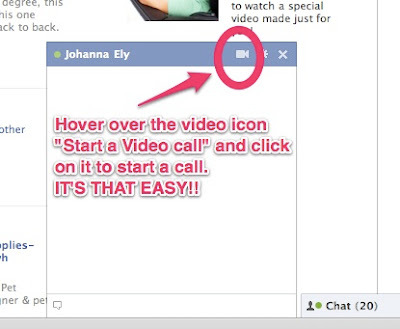 Go to the Facebook Video Calling page and hit the get started button. You can also chat with people who have not enabled it before. Step – 2: Facebook will ask you who you want to chat to. Pick a friend from those who are online. Preferably someone you know to have a web camera and a decent internet connection. Step – 3: The chat window will open as usual, but it will have a small video icon on top of it. Click on the video button to initiate the call. Step – 4: You will now be asked to complete a quick one-time setup. Hit the Set Up button to proceed. You can also see who among your friends already have video calling enabled and set up among your friends. Step – 5: You will now be downloading a file. Run it once the download gets completed. Step – 6: The web installer will now run and will download a plugin that is necessary for you to video chat on Facebook. Wait for the progress bar to reach its end. The window will close automatically once done. Step – 7: Your call will now start and you should wait for the person on the other end to set things up just like you did. The following will be displayed at your friend’s end. Step – 8: Once the person you called finishes setting up the necessary stuff, your call will start connecting. The page will reload and you will be able to see a new window in the taskbar. Please note that the receiver must answer the call for you to start the video chat. Step – 9: Your chat is now active and you will be seeing your friends face on the screen. At the top right corner, there will be a small box which will show the output of your webcam and what is seen on the other side. After you finish chatting, you can use the X button to exit it.